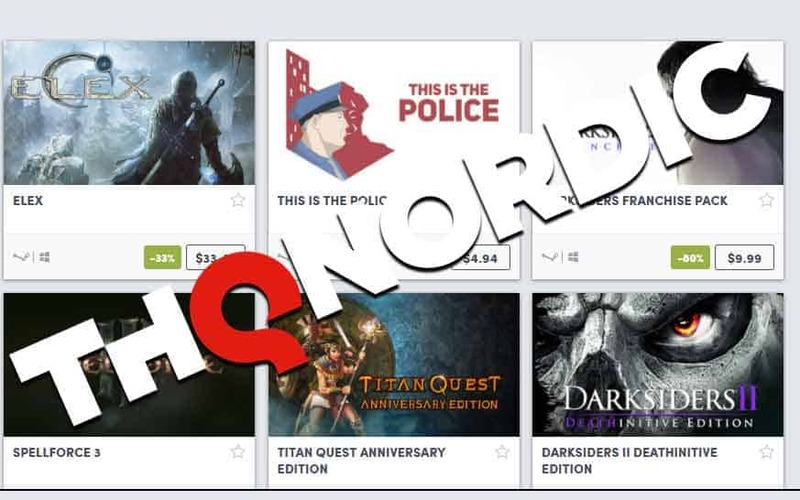 Humble Bundle THQ Nordic Sale Now Live: Save up to 80% | Nerd Much? There’s been a lot going on with THQ Nordic over the past couple of years, and the publisher seems to receive more positive vibes with each new release it puts out. This year, they’ve got a couple spots on our list of the most anticipated games of the year (BioMutant, Darksiders 3). Today, Humble Bundle announced a mega sale revolving around THQ Nordic, containing some hefty discounts on PC versions of some of their best franchises and games, including up to 80% off certain titles. I can tell you that, there ARE definitely some games for sale that you’ll want to stay away from. For example, Deadfall Adventures is absolutely atrocious, so don’t let its price tag entice you. I also think ELEX was a hot mess in just about all regards (you can read my review here, if you’d like). As far as MUST buys, I’d say This is the Police is definitely one of the most unique experiences, and if you haven’t played the Darksiders franchise, those are also well worth the price of admission (especially if you want to catch up before Darksiders 3 hits). If you’re interested in any of these and have the room on your hard drive, check out the THQ Nordic Humble Bundle Sale here. And if you’re looking for more from Humble, might we suggest the Humble Bundle Monthly for April.